ICYMI: catch up on why I’ve joined my local hockey team. Sometimes, when it’s cold and dark outside, or you’ve had a long day at work, or you’d rather just sit about in your pants eating food and watching TV (chill time goals), exercise can feel like a massive chore. And let’s be honest, it kind of is. On Wednesday this week I really couldn’t be bothered to go to hockey training. Like actually did not have an ounce of me that wanted to go. It was FREEZING cold, I was tired from two sessions of PT that week, one of them that very morning, and Chris was planning yet another banging dinner from Jamie’s new book (will blog that soon btw, we’re loving it). Getting home from work knowing I had to get changed and turn around to go back out again was grim. 1) I’m part of a team now, and don’t want to let them down. 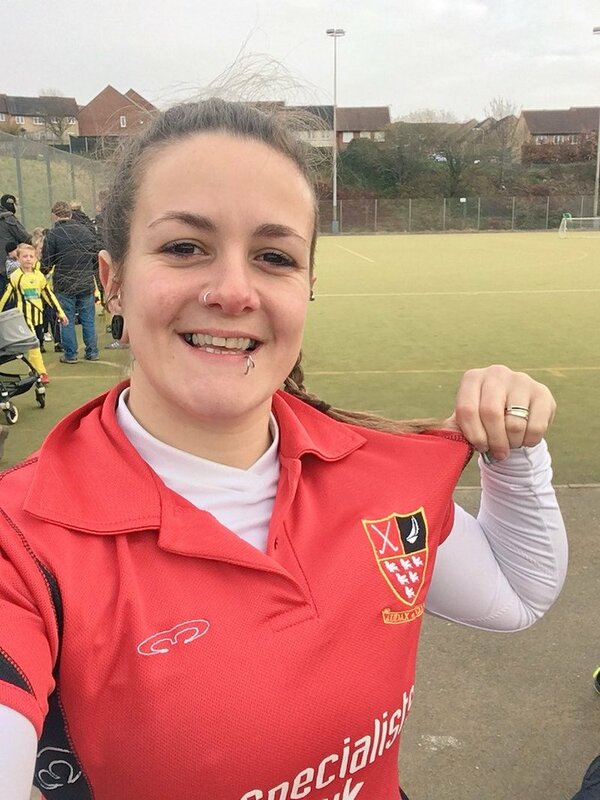 2) We had a match on Saturday and having only started playing hockey a month ago I need all the training I can get! 3) I knew I’d feel better afterwards, like I always do after any sort of exercise. That last point is something I always remind myself of when the chimp on my shoulder tries to make me sit about in my pants and insert various foody things into my gob instead of getting active. I went to training, and it was awesome. Dark, yes, cold AF, yes, but still awesome. I learnt an awesome backhand hit, and a few other tricks, and took them to my second match on Saturday to help my new team bring home a win against Worthing. I was so excited for the match, there was no dread this time of not knowing what I was doing like the first one. (I haven’t actually written about that first match, have I. Summary: I had no idea what I was doing and some Benny Hill music in the background would’ve been a great accompaniment to my gallivanting round the pitch I’m sure). With four weeks’ training and one match behind me I was excited to see if what I’ve learned had actually gone in at all and I could pull off some sort of real-life hockey player. I felt like I actually knew some of the rules this time, and understood the job of my position (centre forward), where I needed to be, and how it all works together with the rest of the team. Everything flowed, we played really well I thought. I felt like I belonged, everyone on both sides were lovely and it was basically just loads of fun. Now that I know everyone’s names I can call for the ball confidently and it’s good to actually have a bit of an idea what to do with it (doesn’t always happen, but I did score two goals so YAY). 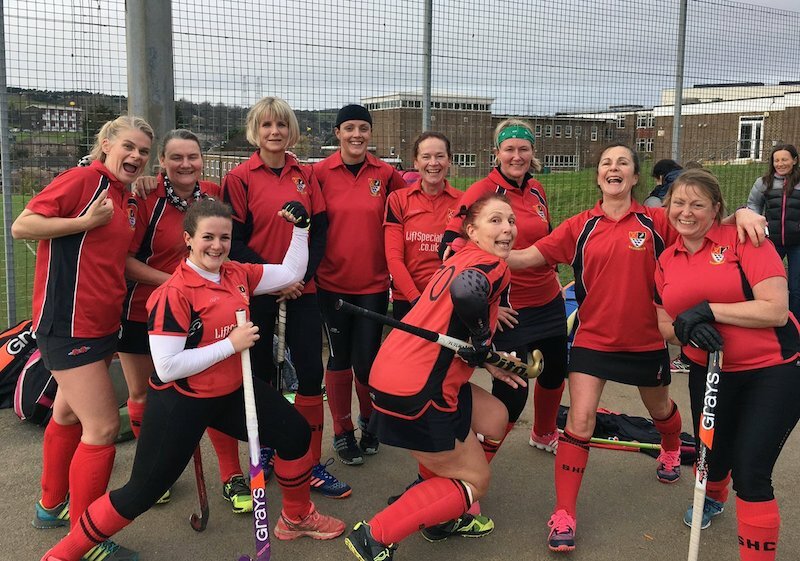 If you’re finding it hard to get active in winter, why not join a team and enjoy the host of other benefits that come with it. Having people relying on you turn up for training will make you do just that, even if it’s cold and you’re tired. Once you get to your first session you’ll realise that everyone was new once, and will welcome you into the team instantly. Or brush up on old ones – every time you go to training you’ll pick up new tricks and practice set formations to use in a game. A collective weaponry that works brilliantly together with your new team mates. You’ll have a reason to train, a reason to get active. You’ll have a job to do within your team and you’ll all work towards the same collective goal. And who doesn’t love Haribo?! After all of the above, this is just a happy side effect. Getting fitter is easier when you make it fun. for more interesting ways to get active! Don’t be afraid to be the newest, slowest, least experienced player – everyone has to start somewhere. And anyway, if you start at the bottom, the only way is up! Every training session, every game, every third, fourth and fifth slice of swiss roll you pack away at the post-match teas – an automatic PB! 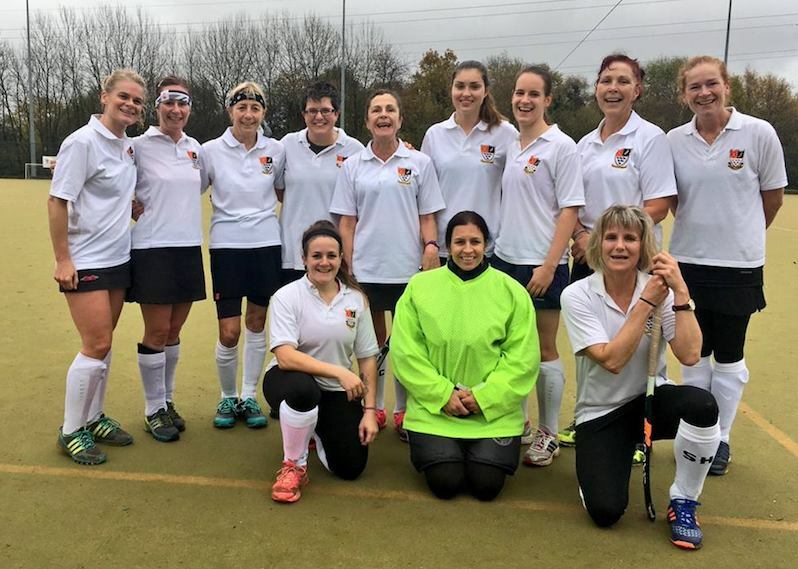 Find out more about Vitality’s #WomenInSport campaign and the other fab bloggers taking part, and catch up on my previous posts here and here. And come and join us at Southwick – new players always welcome!